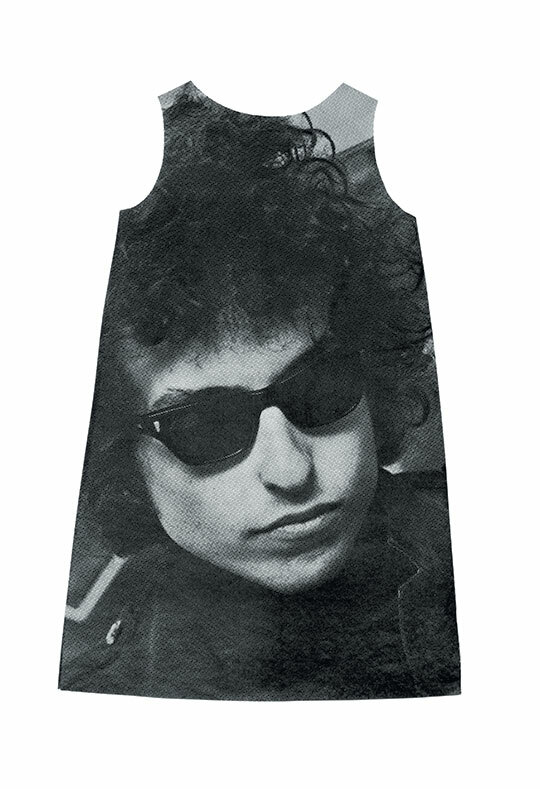 Ηarry Gordon, Bob Dylan Poster Dress, USA, 1967. Photo: Panos Davios. © ATOPOS cvc collection, Athens. The Atopos Paper Fashion Collection includes 400 paper dresses, most of them dating from the late 60’s and inspired by the Pop Culture of the time. Two of these dresses have been on show in London, during the Pop Art Design exhibition at the Barbican Art Gallery, from 22 October 2013 until 9 February 2014. Pop Art Design has been the first comprehensive exhibition to explore the origins and motives of how every day life came under the influence of Pop Culture. The exhibition have brought together more than 200 works by over 70 artists and designers such as Peter Blake, Pauline Boty, Judy Chicago, Richard Hamilton, Roy Lichtenstein, Claes Oldenburg, Joe Tilson and Andy Warhol. Atopos cvc owns the most complete collection of disposable paper dresses from the 60’s. This collection, together with other related material, garments and accessories from the Edo period provides a comprehensive representation of paper clothing in the history of dress and design. The collection forms the basis of the RRRIPP!! Paper Fashion exhibition. Barbican International Enterprises promotes RRRIPP!! Paper Fashion and brings this exhibition to as wide an audience as possible. Atopos cvc and Barbican International Enterprises have been collaborating on the tour of RRRIPP!! Paper Fashion since 2010.